Accounting income is the profit a company retains after paying off all relevant expenses from sales revenue earned. It is synonymous with net incomeNet IncomeNet Income is a key line item, not only in the income statement, but in all three core financial statements. While it is arrived at through the income statement, the net profit is also used in both the balance sheet and the cash flow statement., which is most often found at the end of the income statementIncome StatementThe Income Statement (or Statement of Profit and Loss) shows performance from operations of a business. The financial statement begins with revenues and. The metric differs from gross income in that the latter accounts for only direct expenses, whereas accounting income also takes into consideration all indirect expenses. Taxable income is regulated by the definitions of the U.S. Internal Revenue Service (IRS) (or the corresponding tax authority) of income or expenses, and it does not necessarily match with the accounting or economic income approach. Taxable income is used to determine the taxes payable to the IRS. Often, the taxable income line item will immediately precede accounting income in the income statement. The difference between taxable income and accounting income is the deduction via taxes paid. Accounting income is heavily related to accounting conservatism because the latter stresses not overstating income or assets. It is used when there is uncertainty in the outcome of a transaction (e.g., when a stock value increases or a property gains value due to a valuation), but there is no certainty for realizing the operation (converting it into cash). How is Accounting Income Calculated? As part of the income statement, accounting income is calculated starting with sales revenue. It is the amount of revenue earned through the sale of goods or services. From the amount, direct costs for producing the good or providing the service are deducted to find gross profit. From here, most indirect expenses are deducted to find EBITDA (Earnings Before Interest, Taxes, Depreciation, and Amortization)EBITDAEBITDA or Earnings Before Interest, Tax, Depreciation, Amortization is a company's profits before any of these net deductions are made. EBITDA focuses on the operating decisions of a business because it looks at the business’ profitability from core operations before the impact of capital structure. Formula, examples. The indirect expenses include, but are not limited to, indirect labor costs, marketing costs, rent, professional fees and meals and entertainment. Depreciation, amortization, interest, and taxes are not deducted before the EBITDA line item, but instead after. From EBITDA, companies will often deduct Depreciation and Amortization to find EBITEBIT GuideEBIT stands for Earnings Before Interest and Taxes and is one of the last subtotals in the income statement before net income. EBIT is also sometimes referred to as operating income and is called this because it's found by deducting all operating expenses (production and non-production costs) from sales revenue.. EBIT less Interest Expenses results in EBT, which stands for Earnings Before Tax. EBT is also sometimes known as Taxable Income, although there are some cases where EBT and Taxable Income differ, due to the type of deductions and tax liabilities that apply to a given company. Finally, when taxes are deducted from EBT, we arrive at accounting or net income. Accounting income is the bottom line in the income statement and is therefore affected by every other line item appearing before it. In that sense, the amount that a company can declare will be a function of the revenue realization and expense matching rules that apply to it. In most cases, accounting income is tied to the rules of accrual accounting. It means that accountants will often follow GAAP rules to derive the figure, although such rules may differ between different countries. Does Accounting Income differ from Cash Receipts? The short answer is yes. While there are exceptional cases where accounting income equals the amount of cash received by the company, it will differ due to the timing of cash collection and revenue recognition. For example, in the case of accounts receivables, revenue is recognized immediately, but cash is not recognized until later. However, accounting income is a key point in calculating the cash flow statement. Under the indirect cash flow method, it is the first line item. From here, changes in cash due to operations, financing, and investing are added or subtracted to find the net change in cash in any given period. While not appearing as a line item in the balance sheet, accounting income directly affects one of the line items. A positive amount in a period will increase retained earnings, depending on how much dividends are paid. In fact, the change in retained earnings can be calculated as accounting income less dividends paid. For example, a company that earns $100,000 in accounting income will experience a $100,000 increase in retained earnings if no dividends are paid. The company keeps all of the revenue it earns in the period. However, if half of this is paid out to shareholders, the company will only record $50,000 in retained earnings from said income. The financial importance of each of the concepts described above lets us identify the key factors of our businesses. 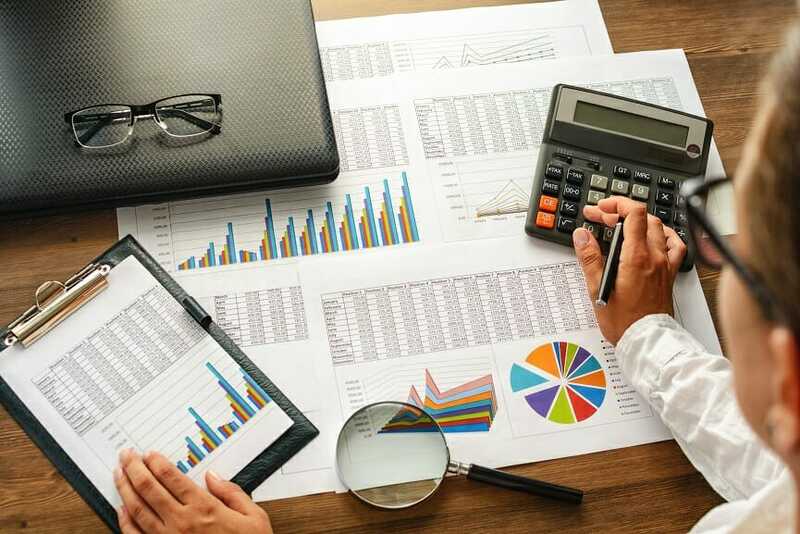 As a key line item in two of the core financial statements, accounting income is an important metric that any accountant or financial analyst should know. More importantly, it connects the three line items. Understanding accounting income is therefore also an important step in building a financial valuation model.